Are you searching for a golf course that’s surrounded by natural beauty? Hickory Ridge Golf Course is a breath of fresh air. We’ve been the preferred golf course of residents in Galesburg and the surrounding areas since 1995! New to the game? 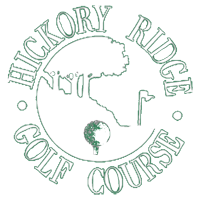 Hickory Ridge Golf Course is a place for beginners and experts alike. We offer group and individual golf lessons by appointment only. You’re never too young or too old to learn the wonderful sport of golf. That’s why Hickory Ridge Golf Course provides lessons for aspiring golfers of all ages. Book an appointment for golf lessons by calling 269-382-6212 today. Forget something? Find it at the Pro Shop at Hickory Ridge. Ready to hit the green? Not so fast—you can’t perform your best without your trusty golf gloves! You don’t have to head home to find what you need. Hickory Ridge Golf Course’s Pro Shop has what you left at home. We carry a wide selection of shoes, gloves, golf balls, jackets, polos and other golf accessories. Stop by our location at 65 North 30th Street in Galesburg to browse our selection.